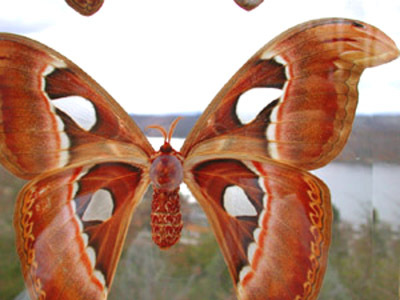 Special Museum Mount, these are the largest moth species on earth. 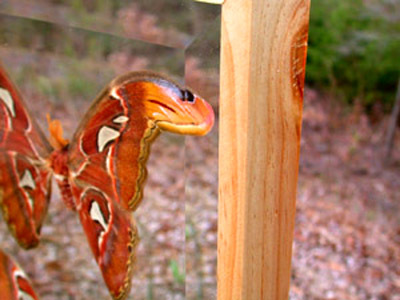 The larger female is approximately 9" wide in a 15" x 11" x 2" frame. 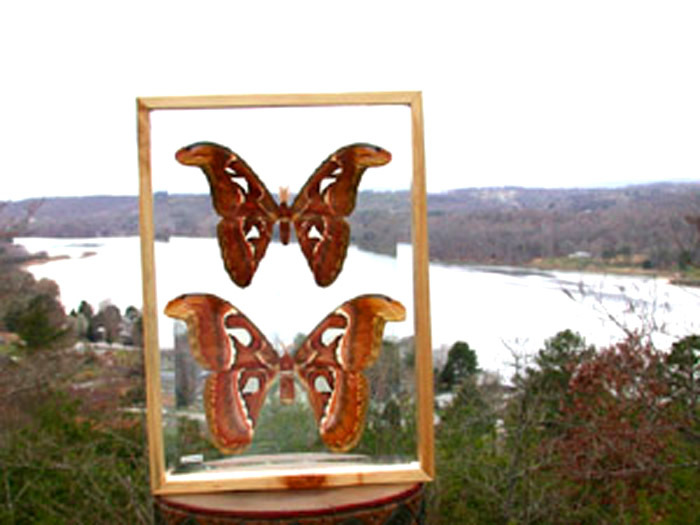 This is a DOUBLE GLASS FRAME with front and back view. This is one of my favorites and is stunning. It is difficult to imagine how beautiful and complex these specimens are! We mount them front and back because the front is as beautiful as the back. We use the latest mounting technique that eliminates all smells associated with mothballs. 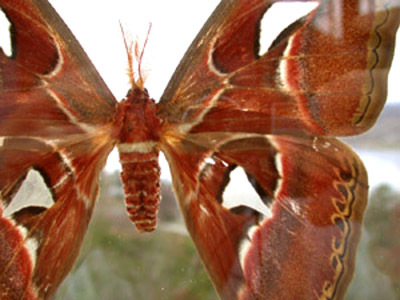 This is important because displays using mothballs inside the frame can have a strong odor. 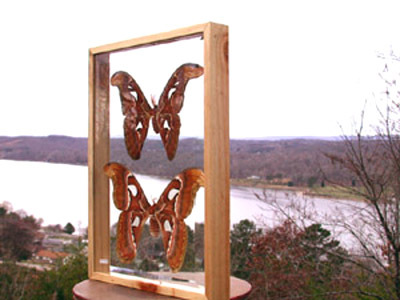 The use of beveled glass really makes this a beautiful display that can sit on a shelf or be hung on the wall. Insured UPS shipping is $12 in the lower 48 states . Other destinations must be calculated. Call toll free 1-800-321-8618 if you want to pay by credit card. All payment options are accepted including Paypal.